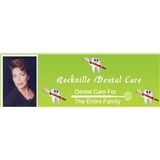 Rockville Dental Care (Rockville) - Book Appointment Online! Disclaimer:We only accept Priority Partners Insurance under 21 & pregnant. Look no further for a seasoned family dental practice that goes above and beyond to tailor each service to your unique needs and concerns. She's so sweet, just like a mom!